We stock 8,000 pounds of rainbow trout each year. We began stocking the reservoir with trout in 1981 to improve fishing in the area. The area is a great place to see geese and ducks, especially during their yearly migration. In the winter, you might also see white pelicans or bald eagles along the river. 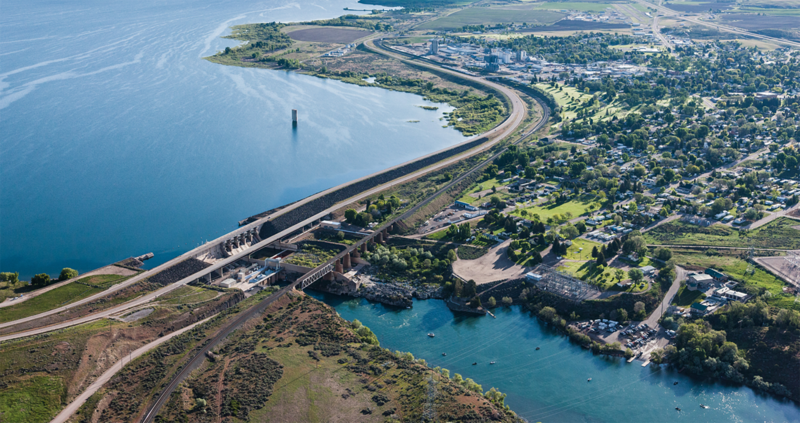 The Bureau of Reclamation owns and operates the American Falls Dam and Reservoir. We own and operate the dam’s hydroelectric facilities. American Falls is the site of Trenner Park, Idaho Power’s first public recreation area. The park was built in 1933, at the site of the old power house. For boat ramp elevations, visit the Idaho Department of Reclamation – Pacific Northwest Region website.